Revisit this fan favorite story from #1 New York Times bestselling author Lisa Jackson, originally published in 1993. 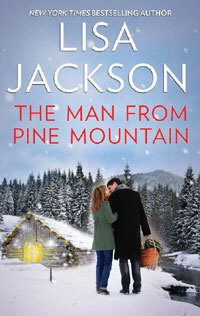 When Brett Matson rescues a woman from an icy river and brings her to his cabin to recover, he’s shocked to discover that the woman is none other than Libby Bevans, the former love of his life. Five years earlier, Brett and Libby had angrily parted ways after a tragedy, neither knowing how to cope. Now, they’re confined to Brett’s cabin after a blizzard, forced to reckon with their shared past. Libby has complicated feelings about returning to her hometown, especially when Brett pulls her from the river. As the two reconnect, she remembers all the things that made her fall in love with him. Do they still have that spark? And can they reconcile the past with their present, and find a way to love each other again?